With Pandora now a distant memory in the UK and Last.fm stuck firmly in the mainstream, there's definitely a hole in the internet for an indie music streaming site. 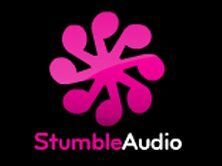 Well, that hole has now been filled with the arrival of StumbleAudio. Housing over 2 million tracks by 120,000 artists StumbleAudio is a site that doesn't want you to listen to music that, according to its makers, you are "expected" to love. The makers want you to 'stumble' upon new up-and-coming artists that should suit your tastes. The layout to the site is fairly intuitive. There's a list of genres on the left-hand side, with a 'cover view' of sorts in the middle relating to the artist you are listening to. Don't expect to find many musicians you know of, the list here is strictly on the fringe, with artists like Roleki, Ming & Ping and Mannyman present and correct. There's a massive Stumble button that you can press, which will randomly choose a track for your listening pleasure. The site also has a Digg-like recommendation system, where you can give songs a thumbs-up or thumbs-down depending on if you like the music or not. All the music you listen to on the site is free, but there are links to iTunes and the like if something takes your fancy enough to purchase.